Ground turkey & arugula stuffed bell peppers topped with melted mozzarella cheese. Perfect back to school dinner that kids love, and you can have on the table in less than 30 minutes. Plus, the secrets to the perfect stuffed bell pepper! It’s back to school time here in California. I know this, because the grocery store was about 90 times more crowded at 4:00pm with moms and kids than it was last week. And, the ends of the grocery store aisles are lined with juice boxes and lunch box baggies of gold fish and fruit snacks. 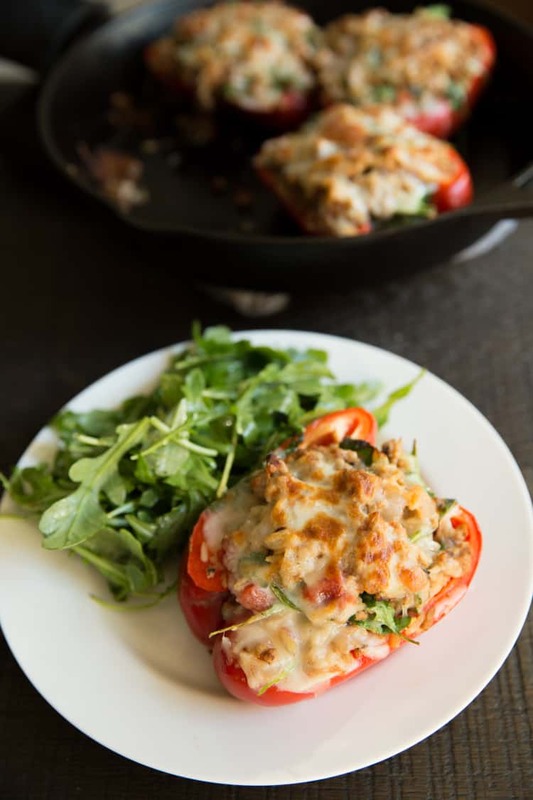 At the top of my dinner menu list are these healthy and delicious turkey & arugula stuffed bell peppers. They are tasty, and you can have them on the table in less than 30 minutes. Perfect back to school dinner! These aren’t the mushy stuffed bell peppers from your childhood. Thru much trial and error, I’ve discovered a few secrets to perfect stuffed bell peppers. 1. Stuff the bell pepper with pre-cooked rice. This is a great use of left over rice from the day before! When you use uncooked rice, you have to add a lot of moisture to the stuffing to make sure the rice can get cooked properly. This usually leads to soggy bell peppers, and you’re not guaranteed that the rice will turn out perfect. Using pre-cooked rice cuts the cooking time way down. 2. Rather than cutting the top off the pepper in and stuffing it, cut the bell peppers in half length wise. This gives you more surface area to cover with cheese and get a melty topping, which everyone knows is the best part of a stuffed bell pepper. 3. A lot of recipes I’ve tried have you boil the bell peppers for several minutes to get them soft. Don’t do this! The bell pepper will end up too mushy by the time it’s done cooking. Instead, just stuff the bell peppers raw. They will cook enough in the oven, and will come out perfect crisp tender. Your family will love this ground turkey and arugula stuffed bell peppers. It’s filling, but still light and doesn’t leave you feeling heavy and full. I love this with my favorite simple arugula salad. Great end of summer dinner. Enjoy! In a large non stick skillet over medium high heat, cook the onions in the olive oil until the onions begin to turn translucent, about 5 minutes. Season with salt and pepper. Add in the ground turkey, and cook until cooked thru, about 8 minutes. Add in the rice, garlic, diced tomatoes, baby arugula, 1 cup mozzarella and 1/2 cup chicken stock. Stir to combine. In an oven safe baking dish or skillet, add raw bell peppers and season with salt and pepper. Fill each bell pepper with the turkey and arugula mixture. Top the bell peppers with the remaining 1/2 mozzarella, and drizzle the tops with a small amount of olive oil. Roast in the oven for 15-20 minutes, until the bell peppers start to become tender and the cheese is melted. What a beautiful dish! Love that you stuffed it with arugula too! I’m so impressed that you planned out your dinners – I really need to get better at that! These peppers look like the perfect dinner. Delicious and healthy! Wow. These look especially good! I always cut the top off mine…cutting lengthwise seems like a better idea. I can’t wait to make these! You hit the nail on the head with this one, Natalie. My mom used to make stuffed pepper all the time, especially when it was time to head back to school and our schedules looked a lot busier. I LOVED them! Thanks for the great reminder that it is time to make them again ;). Love the healthy twist on yours!! 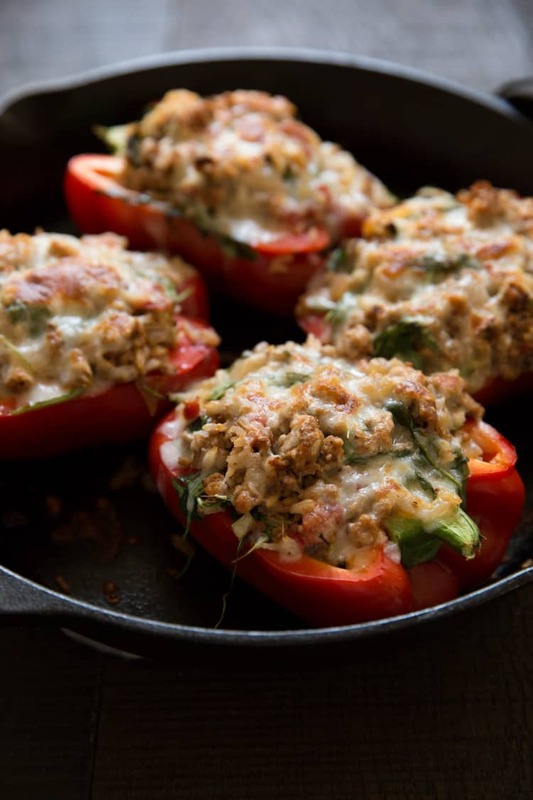 LOVE stuffed peppers Nat, this rendition looks bomb! And couldn’t agree more about pre-cooked rice in stuffed peppers, it makes all the difference in both time/prep and flavor :) Yums! I love stuffed peppers. Yours look so delicious, makes me want to go out and get the ingredients now. Ooo, look at all that cheese! It’s been a while since I’ve had stuffed peppers. Need to change that! HI Natalie, what great looking peppers, love that they are not mushy. Also it’s amazing that after working all day you cleaned your house and planned what to eat all week. I’m not a great planner.. These look great! I am not a huge fan of traditional stuffed peppers, but I love the ingredients you used in this! I can’t wait to try it! These stuffed peppers look amazing, Natalie! I love how you jazzed up a boring dish. My husband will go crazy over these! Look delish! I LOVE stuffed peppers, one of our favorite meals around here! These peppers look absolutely perfect! Every time I make stuffed peppers, they always look so lifeless haha. I love your tips, definitely going to try them out next time! I love stuffed peppers and how the flavor of the peppers mixing with the filling. These look really delicious. Sadly, my husband doesn’t like stuffed peppers, so I’m saving this for myself :D I think it would be a great lunch! this is an awesome dinner time idea.. i can’t remember the last time i cooked with turkey. definitely need to do so again soon, these stuffed peppers look delicious! I love stuffed peppers but typically do beef. I definitely should try the turkey next time. They look fab! These look fabulous! I love the video too…you are so clever! We don’t eat a lot beef (or any for that matter) but we tear up the ground chicken and turkey so this is perfect! Boom! These look yummo. :) Think the cheese seals the deal for me, traditionally not a huge fan of stuffed capo, but you make them sound / look pretty great. Will have a crack for sure! i had THE MOST delicious stuffed peppers in israel. but these look even better. I LOVE this spin on stuffed bell pepper, Natalie! … I so appreciate the tips as well! I usually don’t make them because they are such pain, but I’m totally trying this recipe on one of our busy weeknights! Thanks for sharing, darling! Pinned! 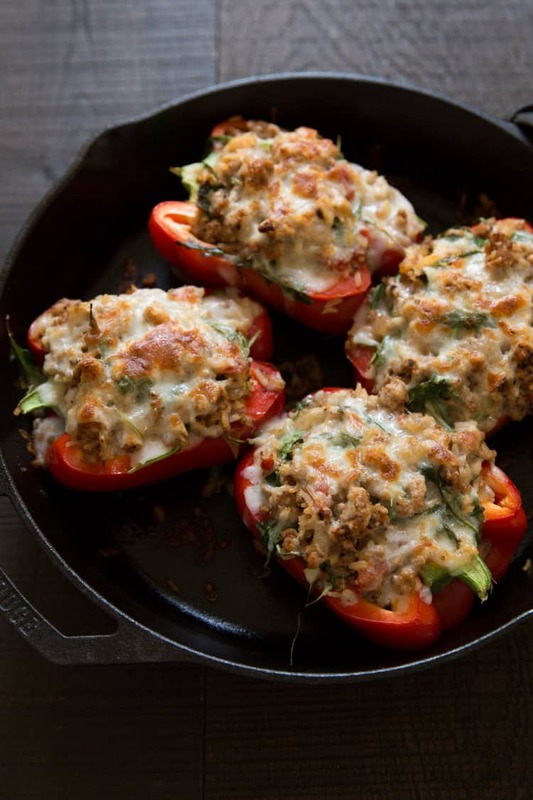 I’m a big fan of stuffed peppers, and these look amazing, Natalie! 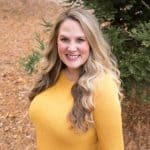 Love your tips, too! 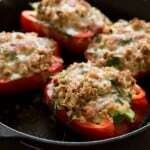 Love your tips for stuffed bell peppers! They look delicious! What a lovely recipe – i love making stuffed peppers – they are so versatile and tasty! Love the tip about not boiling them – i always do this and do agree it seems to be a tad on the soft side. So glad I stumbled across your blog, would love for you to stop past ours. My mom used to make stuffed peppers all the time so this dish is a bit nostalgic for me. :) These look so so good! This was the blandest tasting stuffed pepper I’ve ever tasted. Unless you purchase VERY large peppers, the filling quantity is way too much for 4 halves. Cutting all quantities in half and adding some seasonings to spice the taste would produce a much better tasting filling. We put a mango jabanero salsa on ours to give it at least some flavor. I would not recommend the dish as printed. I am about to make this recipe, but I didn’t see nutritional information. Does anyone know how many carbs per serving? You can calculate the nutrition information on myfitnesspal.com!